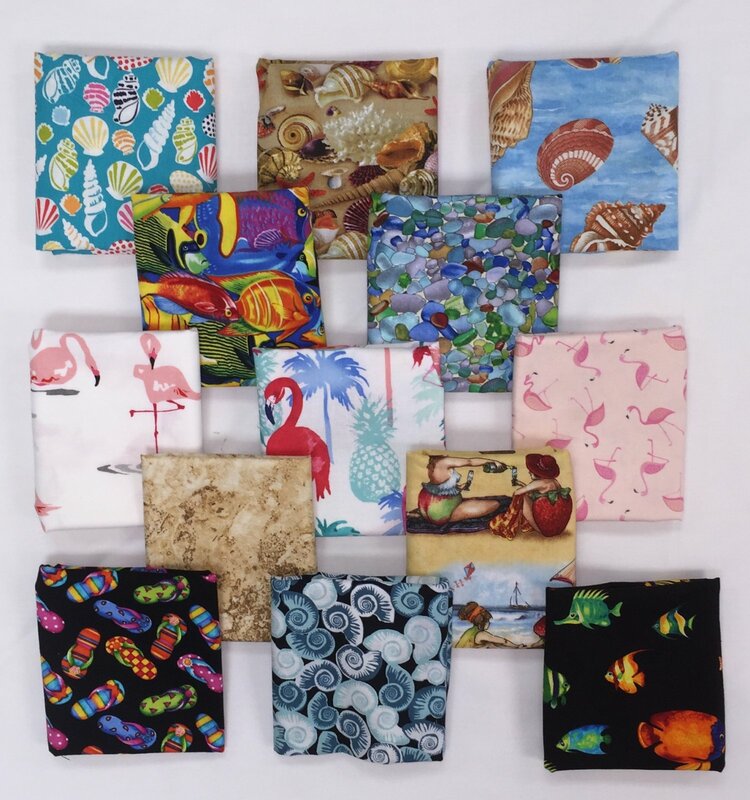 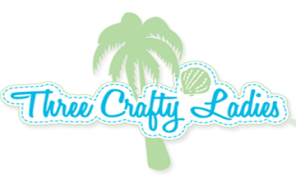 Each shipment will include six fat quarters ranging from tropical prints to landscape prints! 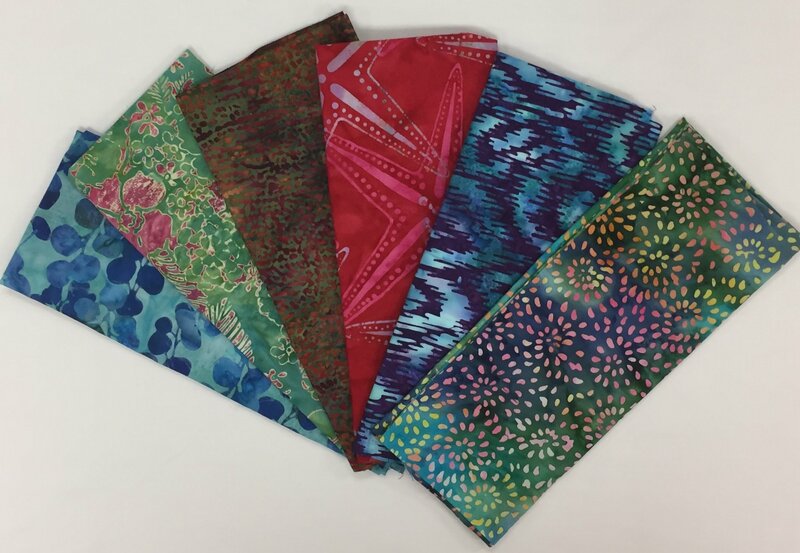 Each shipment will include a rainbow assortment of six fat quarters in a variety of prints and textures! 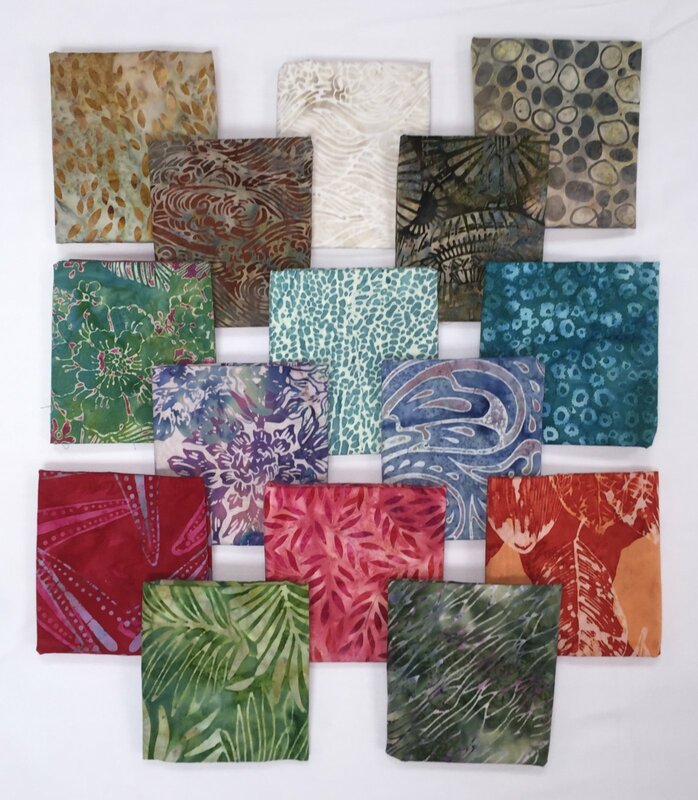 Each quarter you will receive a shipment of three coordinating 1/2 yard cuts in a tropical range of colors and textures.